You’ve got their back, we have yours. Thanks to the Alara Needle. Although it’s often overlooked in the industry, many surgeons reach dangerous levels of radiation exposure annually. SurGenTec strives to raise awareness and provide a convenient solution with the ALARA™ Access Needle Kit. To aid access needle placement, surgeon’s often use makeshift instruments such as kochers and towel clamps that can be cumbersome and lack control. 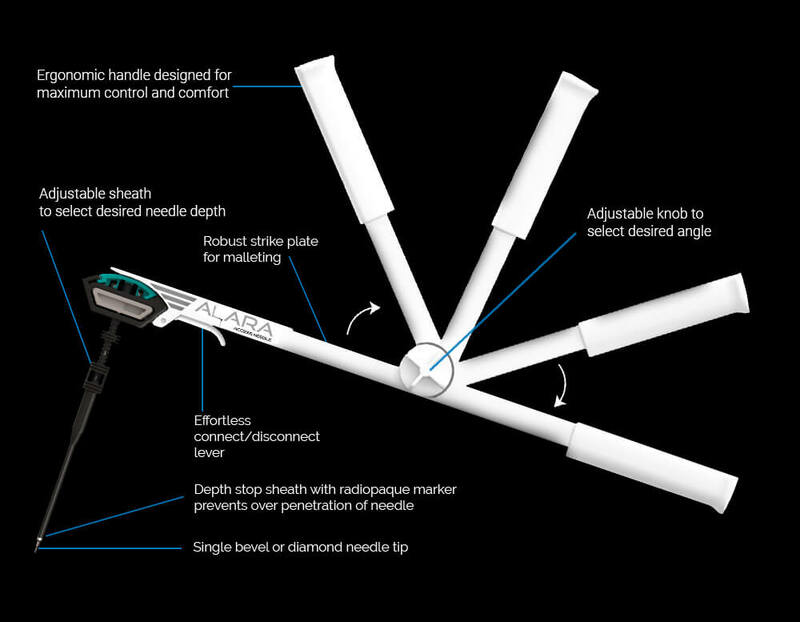 ALARA™ Access Needle Kit offers superior target needle manipulation while also reducing radiation exposure. The extension handle allows users to maintain maximum source-to-skin distance between their hands and the primary x-ray beam. When compared to traditional methods, ALARA may reduce radiation exposure by up to 15 times1. SurGenTec strives to keep radiation dose As Low As Reasonably Achievable with the ALARA extension handle and access needle. SurGenTec access needles come in standard, tapered and sheathed options. Our needles are more robust than standard jamshidi needles and offer surgeons a more durable option when targeting pedicles. 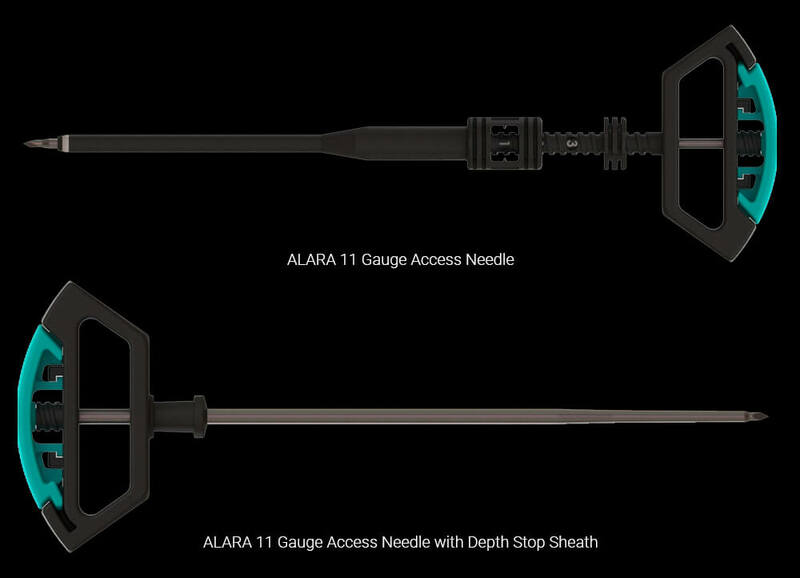 The ALARA sheathed needle has a depth stop that can be set between 10mm and 30mm which allows for a predetermined set depth. There is a built in radiopaque marker that allows for visualization on imaging to help determine depth of sheath. This metallic marker can also be used to help aid in targeting pedicles. Read our whitepaper study on the ALARA™ system. "Orthopedists are increasingly reliant on radiographic imaging for our diagnostics and therapeutic work, thus putting our patients and ourselves in a vulnerable position." 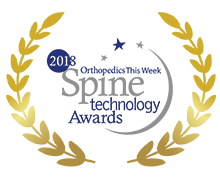 "With Growing interest in minimally invasive spine procedures, there is a growing concern over the ionizing radiation exposureto the patient, operating room staff, and surgeon. Percutaneous pedicle screw placement is heavily dependent upon fluoroscopy guidance." "The surgeon's hands are at marked risk for primary exposure and always should be kept out of the beam"
"Spine surgeons performing fluoroscopically assisted thoracolumbar procedures should monitor their annual radiation exposure. Measures to reduce radiation exposure and awareness of high-exposure body and hand positions are certainly called for."